sicf Archives | It`s full of stars! Now you log off and hit F5 to reload the page. And you are logged on automatically. Meaning you were never really logged out of the system. What you want and need is to ensure that logout means logout. 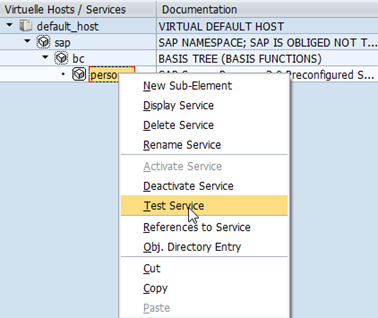 The following steps show how to achieve this by configuring the personas service to call the logoff service. Make sure the logoff service is active. 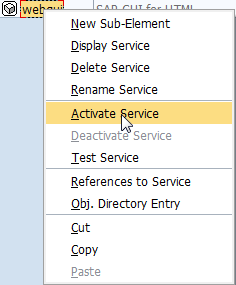 If not, activate the service. This service is responsible for logging you out and deleting the cookies in the browser. 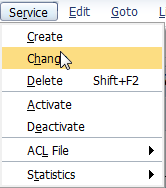 Change the personas service (or webgui service, etc). Check the logoff settings under “Error Pages” > “Logoff Page”. By default there is no redirect activated, meaning that the logoff service is not called. Because of this you are not logged out, the cookies are not deleted. Change to edit mode. 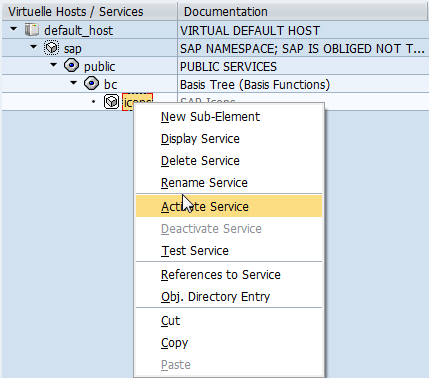 Activate “Redirect to URL” and set as URL /sap/public/bc/icf/logoff. Add the change to a request. Log on to the system via WebGui and then log off. 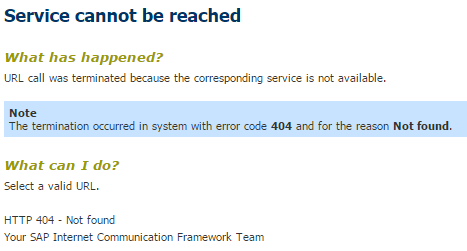 You should see the logon page next time you try to access a service. Final step to execute when configuring Personas for the first time is to check if it actually works. 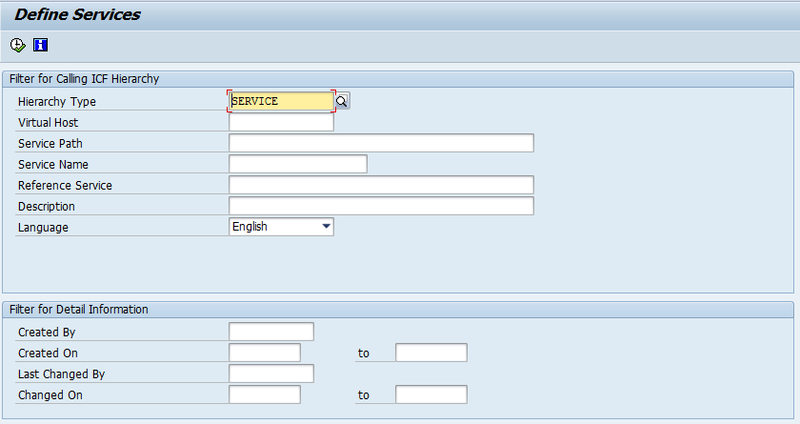 The health check tool shows that the configuration is OK; no more steps needed now to take Personas 3 for a test drive. It is time to access Personas 3! Best way to do so is to call Personas 3 from a browser. If you do not know already the URL of the app, you can call the ICF node directly from SICF. 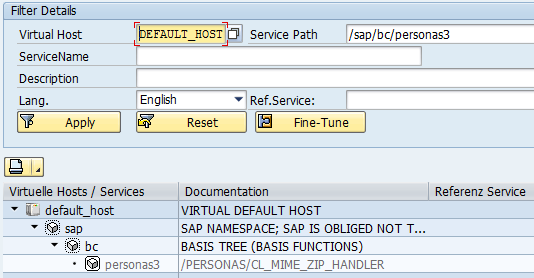 This opens your default browser and automatically opens the personas app: /sap/bc/personas. Wait, what? That`s Personas 3? Easy, look at the top middle of your screen. Click it. Yeah, that`s Personas 3. 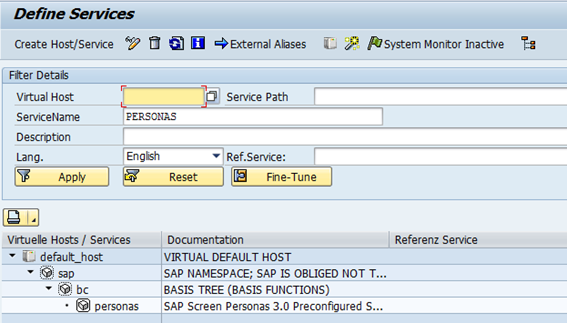 After activating the ICF personas node, you have to check that the GUI configuration parameters are correct. I guess this is just a validation step in case someone messes up with the standard values, as ootb the parameters are OK. Nevertheless, it makes sense to check if they are configured as they should be. 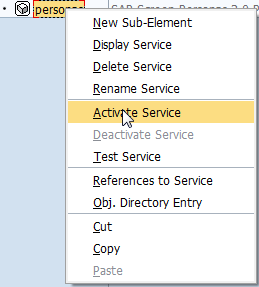 Open the service configuration (double click) and then open the GUI configuration. 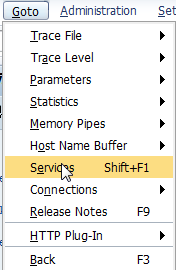 The service parameters must be equal to what the configuration document gives. Personas 3 is a web application. ICF is a pre-requisite. As flavors are based on WebGui, this is also a pre-requisite. 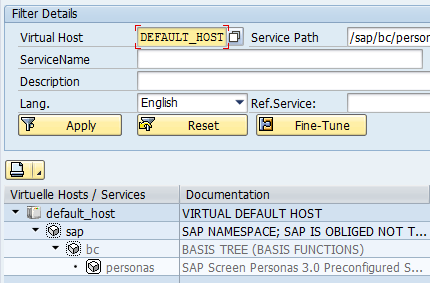 For anyone that thinks he can use Personas 3 but not permit usage of WebGui: that`s not how it works (but there is the option to run Personas from within SAPGui). As you will need web skills for Personas, your users will use a browser to connect to SAP, and your SAP system must be prepared for this. 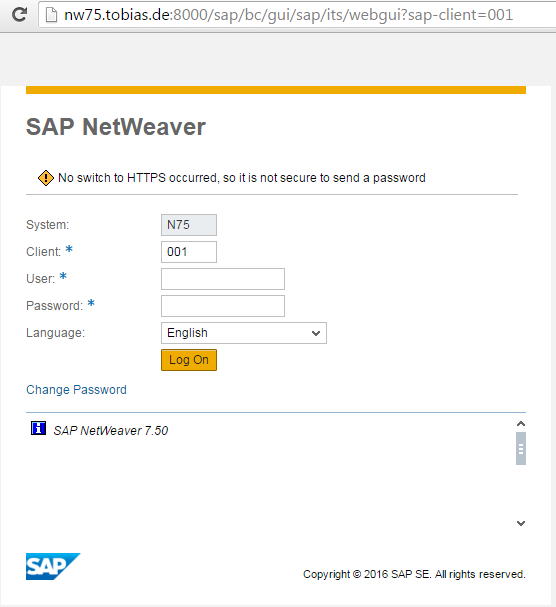 Also, consider looking at your web landscape for SAP: consider that your users will access Personas 3 through a reverse proxy like Web Dispatcher. Nevertheless, you will have to activate some ICF nodes to be able to use Personas 3. 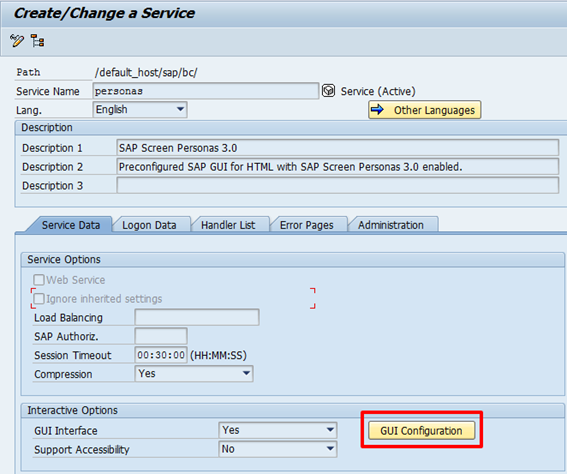 Check the pre-requisites for having a working SAP WebGui installation. 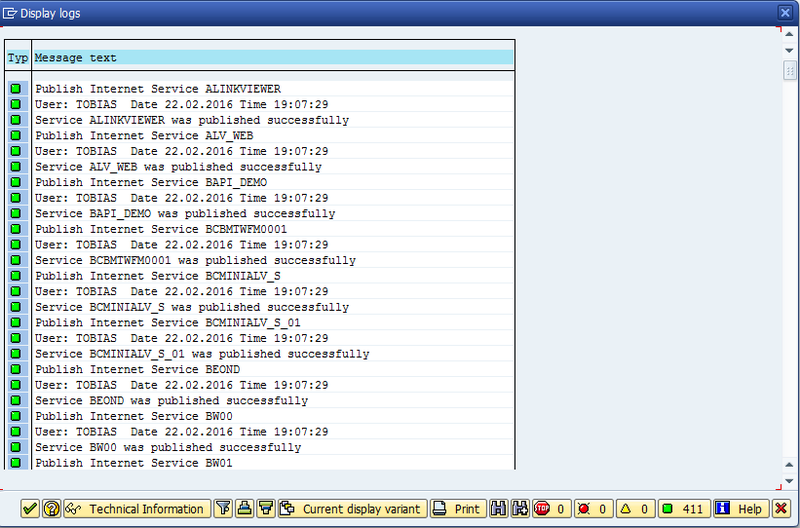 Validate that all services needed to run SAP WebGui are up and running. Not sure how to do that? 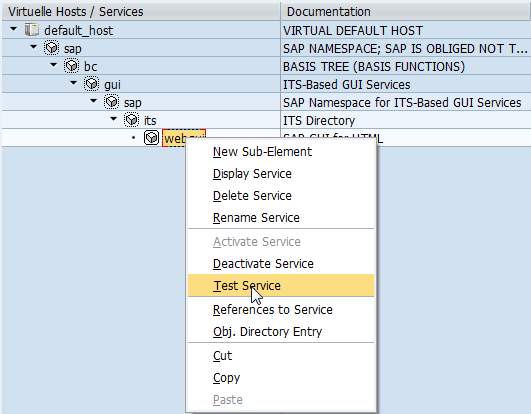 Take a look at my previous blog on how to set up WebGui. 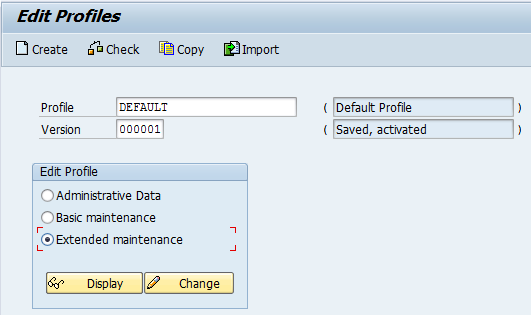 To be able to use of SAP NetWeaver ABAP ICF, for instance, to be able to log on via ICF, you need to activate some nodes. Check SAP Note 517484 for more details. 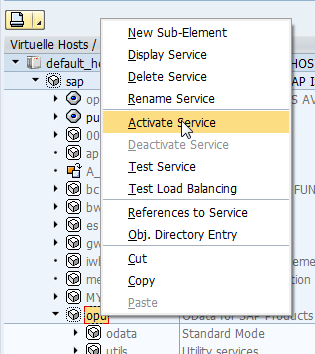 Without these nodes activated, you cannot access SAP WebGui. 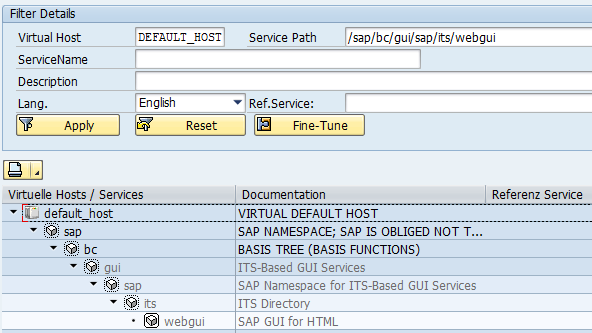 For instance, accessing it via http://nw75.tobias.de:8000/sap/bc/gui/sap/its/webgui gives an error message. Note: /sap/public/bc should already be active. It was at least in my fresh NW 7.5 installation. 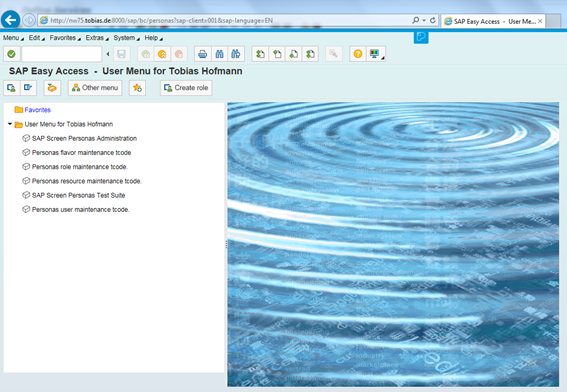 SAPGui is just one way to access an SAP system. 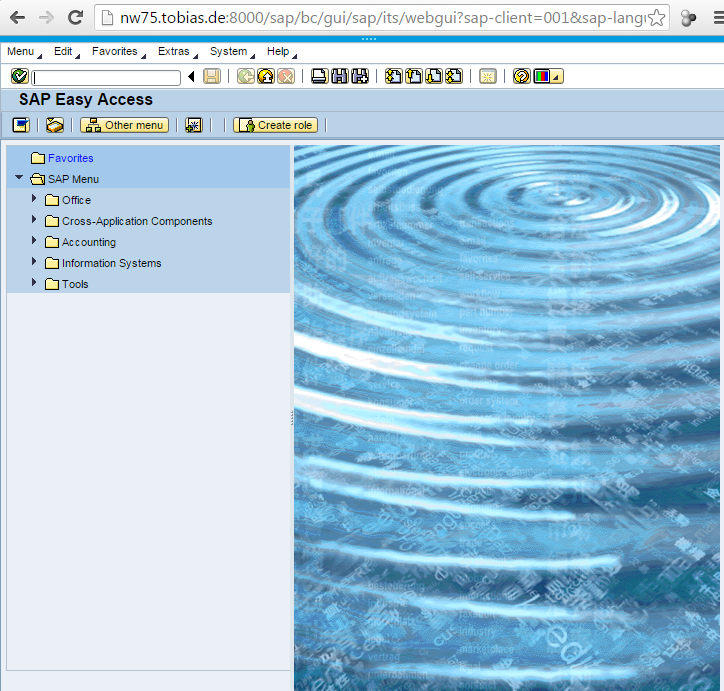 A more and more common way to interact and work with SAP is through a browser. As with all web sites, a web server must handle the browser requests. 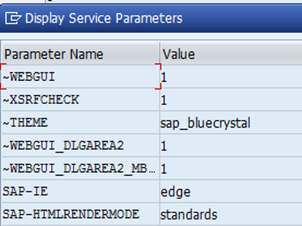 For SAP NetWeaver ABAP, the web server is ICM. 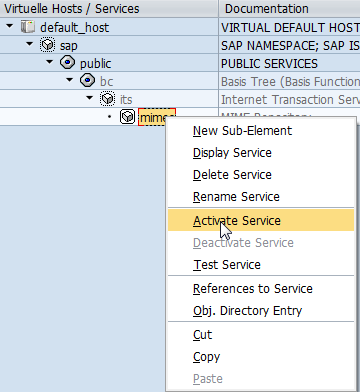 ICM is integrated with NW ABAP, no need to install it as an additional package. The only task to be execute by BASIS is to configure ICM. 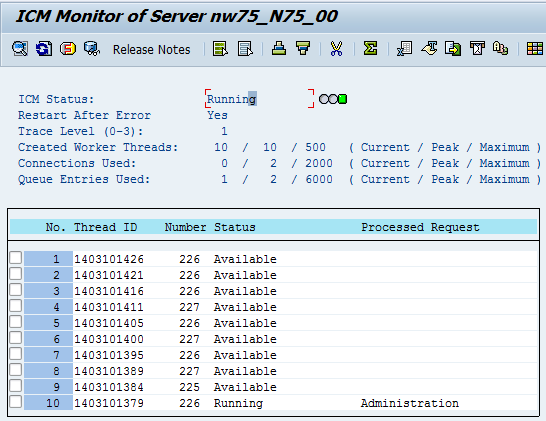 First step is to validate that ICM is working and no errors are occurring. 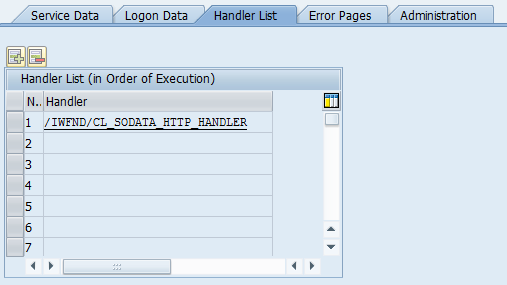 For a browser to be able to access NW ABAP through HTTP, ICM must be up and running and listening on a HTTP port. 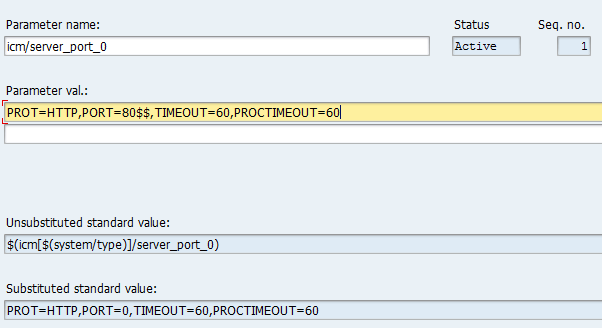 Without this port, no communication from a browser to NW ABAP is possible. To see the configured HTTP port of ICM, you can either look at the profile parameter or use SMICM to see the service information. This shows the active services handled by ICM. As you can see, HTTP is just one of several possible services. SMTP is available, as can be telnet too! 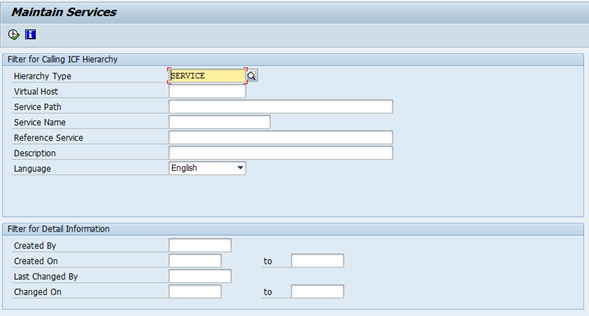 For each service you can see additional information like host name, and port. Port is given a 0. Check the ICM parameters to find out why. Also, take a look at SAP Help about this. Goto -> Parameters -> Display. This will show you the parameters used by ICM. 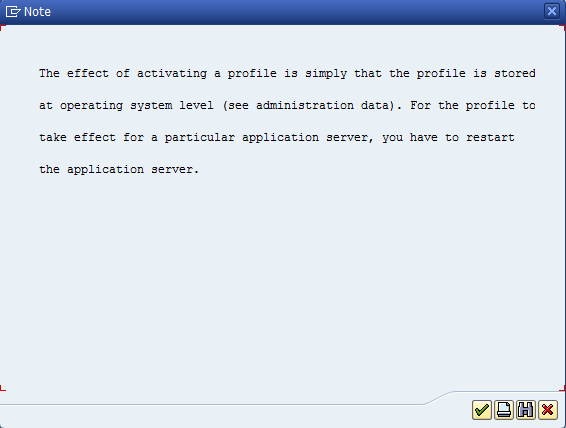 The ICM server parameters are given by icm/server_port_X. Default parameter for HTTP is icm/server_port_0. Value for port is PORT=0. 0 meaning no incoming communication possible. 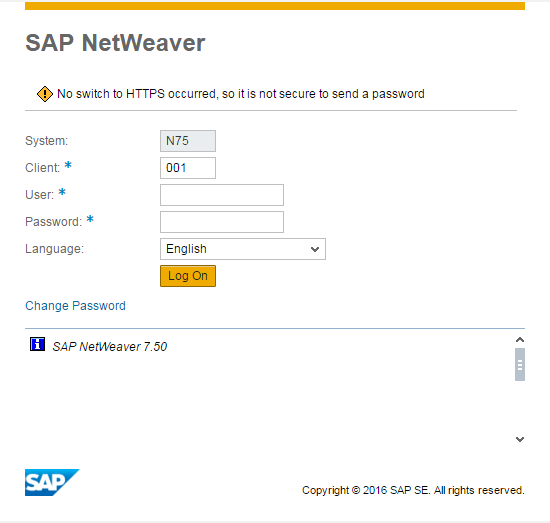 A browser won`t be able to connect to NW ABAP. You have two options to change this: temporarily or permanent. 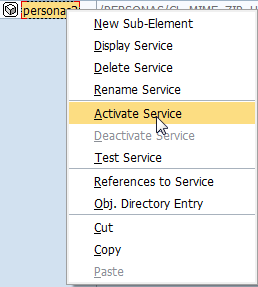 Select the service: Service -> Change. In the dialog, enter the new parameters. For port, you can use 8080. 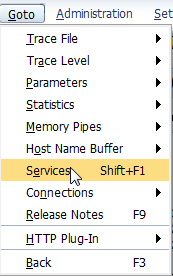 Confirm the data to start the service. This _should_ start the HTTP service using the informed port. In my case – obviously – this did not work. As the above solution is only a temporary workaround, the error message can be ignored (well, not sure if it is an error message, looks green, OK, and so). To change the profile parameter of ICM, RZ10 is used. This makes the HTTP port change permanent. The comment line changes and includes a change value. Also shows who did the change (blame). Back at the parameter list, you can now see that the added parameter is listed. Save the changes to the profile file. Select yes to activate the new profile. 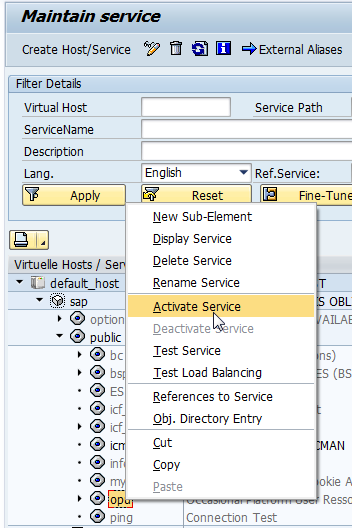 Note that you`ll have to restart your NW ABAP server to take effect. Did it work? How to test it? Easy: take a look at ICM service and access a service using a web browser. First, let`s see if ICM is listening on port 80$$ (btw: $$ is the ID). 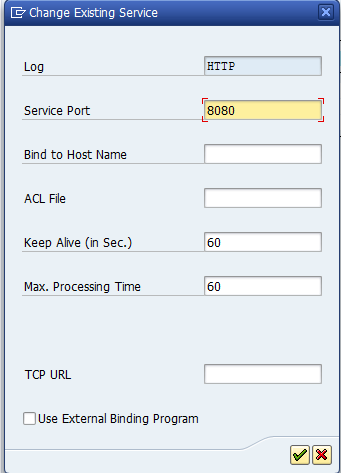 ICM is listening on port 8000 for HTTP connections! Very easy to test. Just access a ICF node using your web browser. Node: you do not need to access a working web app, just a single node to see if or not ICM responses. You can use icman to test, although you should not get a valid response. 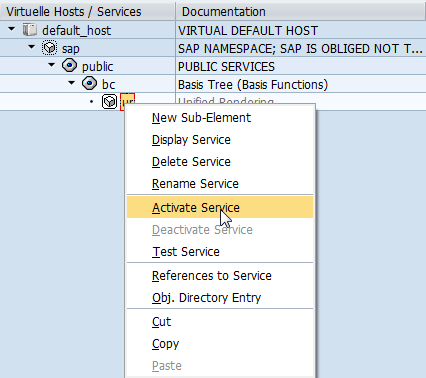 SAP: You can also access a node and provoke an error message.